Remove auxiliary drive belt.NOTE: Mark direction of rotation on belt with chalk if belt is to be reused. 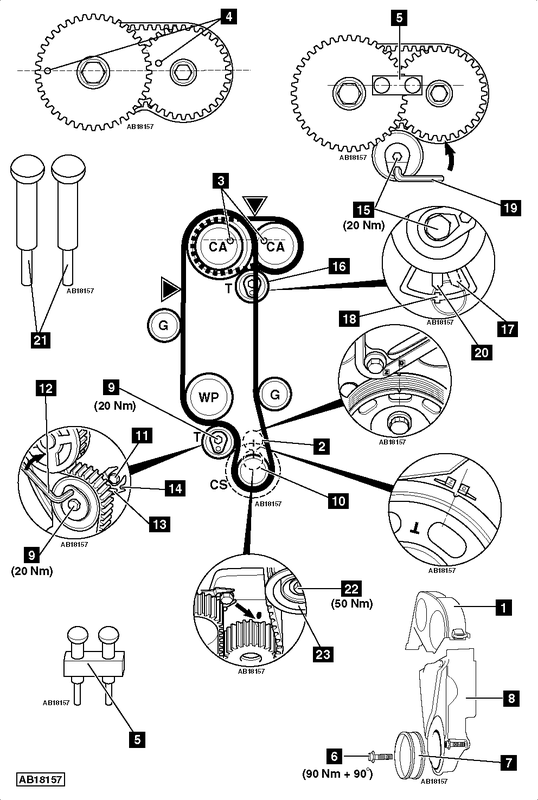 Remove timing belt.NOTE: Mark direction of rotation on belt with chalk if belt is to be reused. Ensure timing mark on crankshaft sprocket aligned  .NOTE: Align ground tooth on crankshaft sprocket. Tighten tensioner pulley bolt finger tight  .NOTE: Ensure lug  in baseplate is located in cylinder head hole.